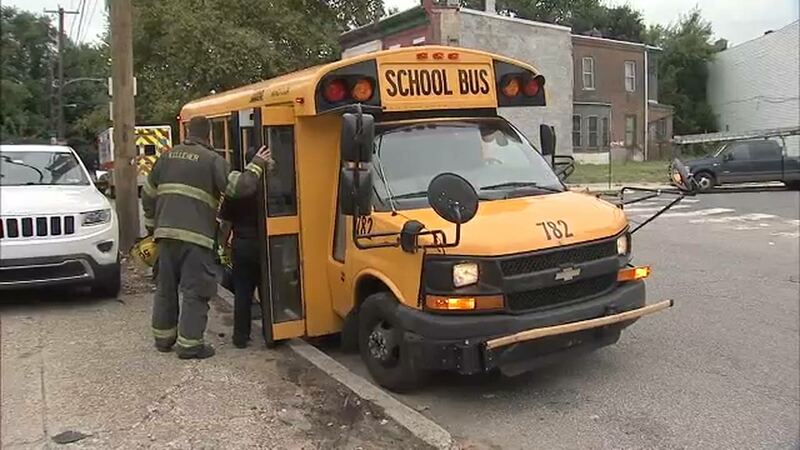 PHILADELPHIA (WPVI) -- Fortunately, there were no serious injuries when a car and school bus collided in North Philadelphia. The accident happened after 4 p.m. Thursday at 12th and Sedgley. There were a couple of children on the bus, but none needed to be hospitalized. There is no word on why the vehicles collided.